Yeast baking proficiency requires repetition. To truly understand the behavior of and possibilities inherent in any particular bread recipe, the baker has to make it over and over again. For the past year, I’ve baked Chad Robertson’s Tartine country bread over and over again, and I’m still learning things about this loaf. My latest bit of knowledge? 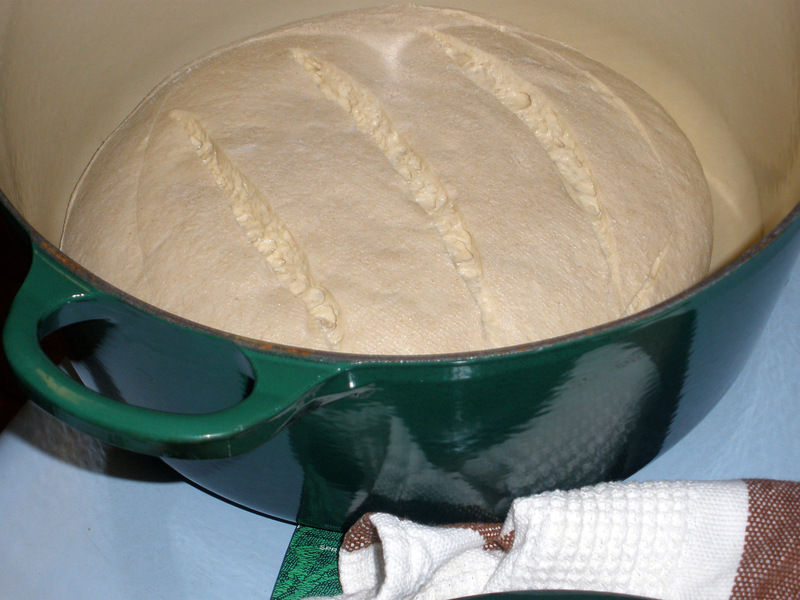 The oven and pot don’t require preheating before the loaf is baked. In Robertson’s original recipe, a wet, long-fermented dough goes into a 500-degree heated pot inside the oven. I skipped the preheating recently, putting a cold loaf (straight from an overnight refrigerated fermentation) into a cold pot, inside a cold oven. The results were every bit as excellent as the prescribed method! Why does this discovery merit an exclamation point? It allows me to mix the dough in the evening, shape it, and allow it a refrigerated overnight rise. The next morning, I can put the cold, scored loaf directly in the oven, turn the oven on, and move on to other tasks. In 50 to 60 minutes, the loaf is done. This seemingly small adjustment means warm bread for breakfast or brunch, or a warm loaf to share at the office, and it allows me to fit the baking into my usual morning schedule. If you’re baking Tartine bread, try out the cold oven method…. I’ve always baked my bread starting with a cold oven because I got it to rise a smidgen higher that way, and I liked the crust better. Also like putting some boiling water in a small pan in there with it. ps: do you increase your baking time with a cold stove method. My stove is slow to reach temp. 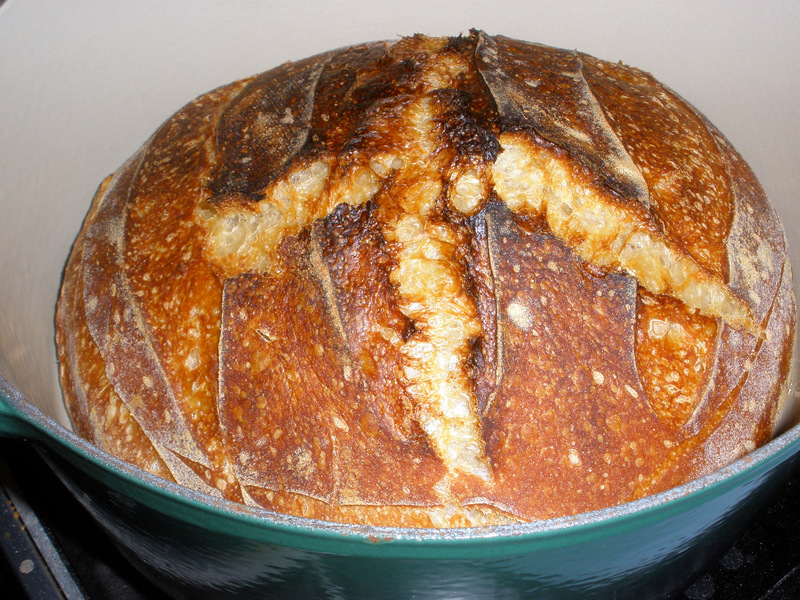 The Tartine loaf bakes inside a covered pot, so it steams itself–no need for additional water. Jim, I did increase the time for the ‘cold start’. 45 minutes with the lid on at 450, then another 25-30 with the lid off…it was a total of about 65-76 minutes, though I confess that my timing is approximate, as I always bake to look/internal temps, rather than time. Internal temp when I took it out of the oven was around 205 degrees.